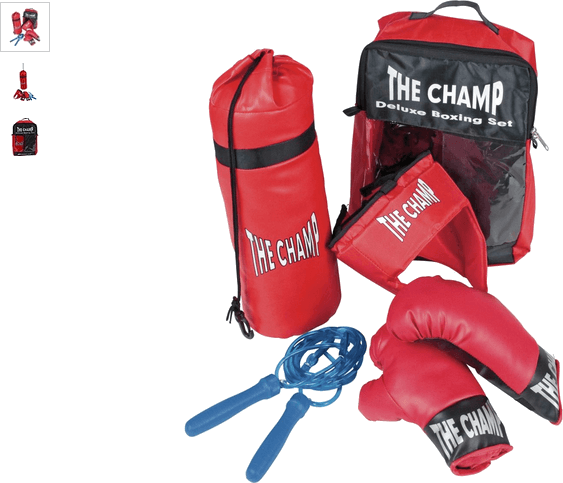 This Chad Valley kids' boxing set is sure to be sensational success and result in you being the champion in the eyes of kids. Develop stamina with the skipping rope and exhaust little ones who have an abundance of energy with the punch sack and boxing gloves. A great way to keep your most cherished happy, healthy and active. Get money off with April 2019 free Argos voucher codes, see if there's a discount code for the Chad Valley 5 Piece Boxing Set product. 3.9/5 from 7 recent reviews.